IN my role as an independent flooring expert I get consumers telling me that the installer fitted the floor, but never said a word and on completion gave no advice at all. To begin, it’s important to understand the basics of how wood interacts with moisture. Wood is hygroscopic, meaning that it gains and loses moisture as the relative humidity and temperature of the air around it changes. Depending on humidity, wood will reach equilibrium moisture content (EMC). As the EMC of the timber flooring decreases, the wood shrinks. But as the EMC increases, wood expands. The effort to minimise moisture problems starts at the manufacturer, where most solid wood flooring for the UK is dried to a moisture content of 8-12% in most cases before being milled, engineered flooring a bit less. Until it is installed, the flooring should be stored in an enclosed, well-ventilated building that is clean and dry. Wood flooring should never be unloaded in wet weather. On-site, avoiding moisture problems begins with installing the proper flooring. Solid products should never be installed in rooms exposed to excessive moisture, including any basement or under ground level. (Engineered wood floors are appropriate for these areas.) If drastic humidity changes are expected, choose species with above-average dimensional stability. Before the flooring is delivered	to	site,	the	proper ty should be fully enclosed, with and windows in place; interior have been on for at least 48 hours. Wet trades such as painting and plastering should be completed and dried. Once the interior is at normal living conditions, solid wood flooring should be set indoors and spread over the subfloor, allowing at least four days before starting installation. Some manufacturers say more, some say less, so unless you have the required moisture meters follow the acclimatisation instructions. (Engineered flooring manufacturers say no such	acclimation	time	is	necessar y.) Before beginning work, check the moisture content of the concrete slab and/or wood subfloor. For wood subfloors, check several different areas with a moisture meter and average out the results. A moisture content of 12% or less is considered acceptable in most cases. 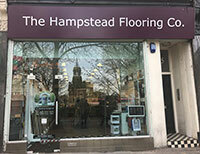 The level must be within 4% of the moisture content of the flooring to be installed. For solid plank flooring, the level should be within 2%. There is only one recognised standard in the UK for testing concrete: The hygrometer test. In good conditions you want 1mm per day up to 50mm when dr ying	can	take	much	longer. Always check the wood flooring manufacturers’ recommendations for ‘acceptable relative humidity’. Even if subfloors are within an acceptable range, that doesn’t mean moisture won’t seep from the ground into concrete and subfloors in future. That’s why it is imperative for the installer to use a moisture-vapour retarder, especially for solid wood flooring. If it’s a concrete slab, apply an epoxy sur face	dpm. In	joist	and	floorboard construction with crawl space, always install a bitumen impregnated paper with joints overlapped, taped with water proof tape and lapped up walls. It should be laid between the wood subfloor and the wood flooring. 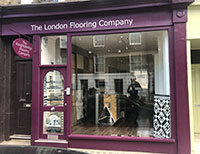 Whatever the method used, installers should verify acceptability with the flooring manufacturer. If gluing down over a moisture retarder, also check with the adhesive manufacturer for compatibility. I always recommend that you use one system. Don’t mix different manufacturers’ floor preparation materials. After beginning the installation, you are strongly advised to follow nailing recommendations (available from the British Wood Flooring Association). (Installation manual). 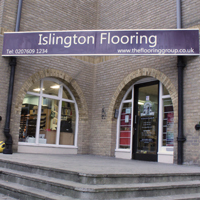 With wider flooring, fixing should be closer together. 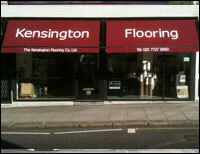 Speak to the British Wood Flooring Association? 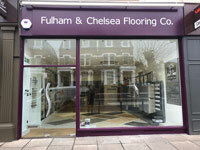 Flooring Assessments is an official CSkillsCAA apprenticeship provider in floorcovering level 2 & 3. Full funding is normally available in carpet, impervious and wood apprenticeships.